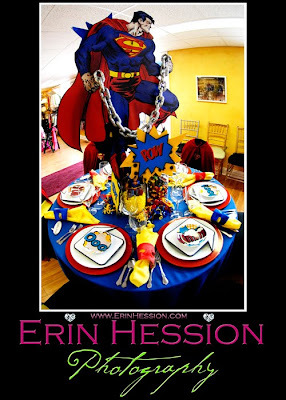 Here is a table we created for a local Tablesetting Show. 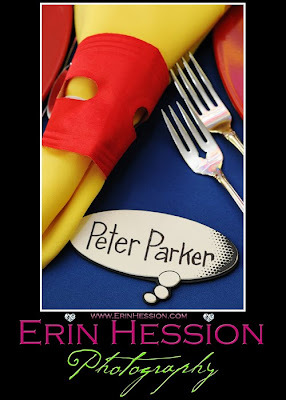 I love the vibrant colors. 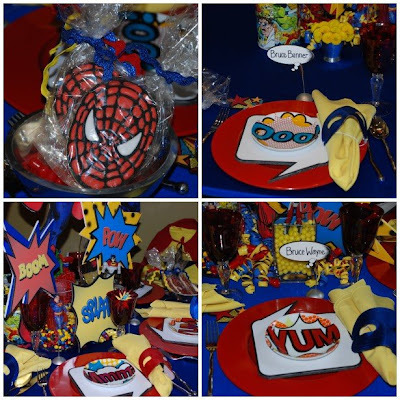 We used superhero names as placecards, colorful candy, comic plates and spandex linen. 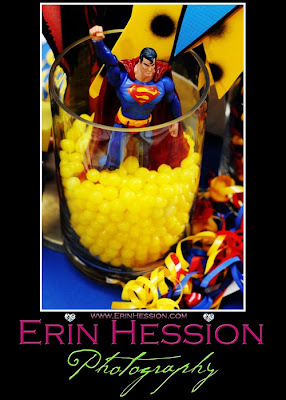 This entry was posted in Comic book Party, super hero party on September 12, 2008 by Setting the Mood.